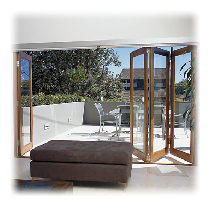 Wash all frames and doors with warm soapy water every 4 months to remove any grime or atmospheric deposits. Alternatively, you can use a non abrasive proprietary cleaner with a soft cloth, taking care not to disturb the sealant. See www.hagesan.co.uk for specialist PVCu cleaning products. Under no circumstances must you use any household kitchen or bathroom cleaner containing bleach, solvents or abrasive material. Any proprietary household glass cleaner can be used with a soft cloth. Any heavy external grime should first be removed with soap and water. External leading can be cleaned with warm soapy water and a soft cloth, applied without excessive pressure so as not to move the lead strips. Polycarbonate roofing panels should be cleaned in a similar manner to PVCu frames. Do not walk on conservatory roofs! For lubrication of hardware etc, use light machine oil (eg 3 in 1 or WD40) lubricant for moving parts. Door lock barrels in particular require lubricating with WD40 every 4-6 months. family for any order over £700, and £50 when the order is over £3000. and flooring of all types.